If buildings came with footnotes, this one, named for a beloved former mayor who deserved better, would have pages worth of citations. 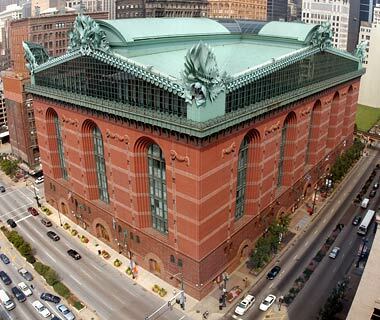 Neoclassical references collide with a glass-and-steel Mannerist roof; throw in some red brick, granite, and aluminum—and a bad sense of scale—and you’ve got way too much architecture class for one day. 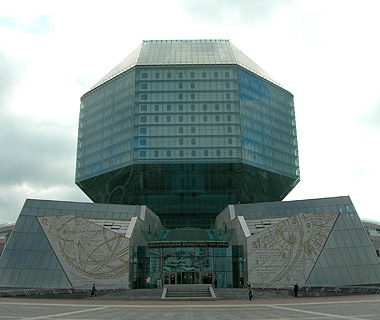 You can’t really hate this glass-paneled, 23-story rhombicuboctahedron (a solid with 8 triangles and 18 squares), complete with color-changing LEDs to make it sparkle at night. After all, it’s difficult to begrudge a library with such mojo. But the designers should have stopped there. Instead, what’s referred to as “the diamond” sits atop a geometry equation gone wrong—tiered circles, huge triangles, winglike flaps. The Ugly Truth: The winners of a government-sponsored search, architects Michael Vinogradov and Viktor Kramarenko, were expected to make a statement. The government wanted tourist-attracting drama, a desire that seems to have been fulfilled; the 2006 opening attracted a flurry of attention. If visitors had ever arrived at this resort on Taiwan’s north coast, they would have slept in an uncomfortable-looking, spaceship-like pod. As it happens, nothing ever got off the ground at this twice-abandoned project from the 1970s. The Ugly Truth: Because developers left these four-winged capsules empty for years, information about them is spotty; it seems, however, that the businessman who built the resort in the 1970s wanted it to look like a landing pad for Martians. 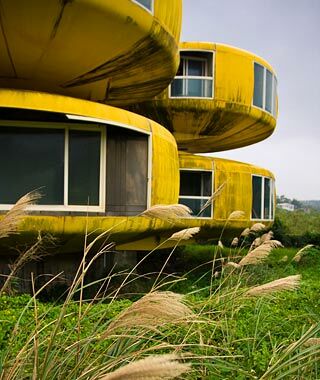 The Taiwanese government plans to tear down the alien abodes, so see them while you can!